At Verdissimo, the leading producer of preserved plants and flowers, we’re dedicating April to the Jumbo Juniperus tree. Today we want to tell you all about this tree of the month: what is the Jumbo Juniperus and its role in decoration, so… don’t miss out! What is the Jumbo Juniperus? Why is it called the Juniperus? The Jumbo Juniperus tree is a conifer shrub that belongs to the Cupressaceae family. These trees are scattered throughout the world, especially in the northern hemisphere: from the Artic, to southern Africa and even in Central America. Juniperus is a name that comes from Latin, meaning Juniper, the popular name referring to the Juniperus. Acicular leaves: they’re mature, larger and longer. Scale leaves: they’re younger, smaller, overlapping, and as their name suggests, scalier. The Jumbo Juniperus is mostly used in decoration to bring freshness to spaces: homes, offices, businesses, restaurants, etc. It’s suitable for them all! It brings freshness to these spaces with its natural look and the vibrant green color of its leaves. Where can you place the Jumbo Juniperus in your home? It’s the perfect product for decorating an empty corner of a living room, entryway or interior patio, or even a bathroom if space allows. Our suggestion is that you place it in a white flowerpot, as seen in the image below. If you want to buy the Jumbo Juniperus, trust in Verdissimo. Our products are preserved, which means that they’re completely natural and ecological, but they maintain their beauty over time without needing water or light. 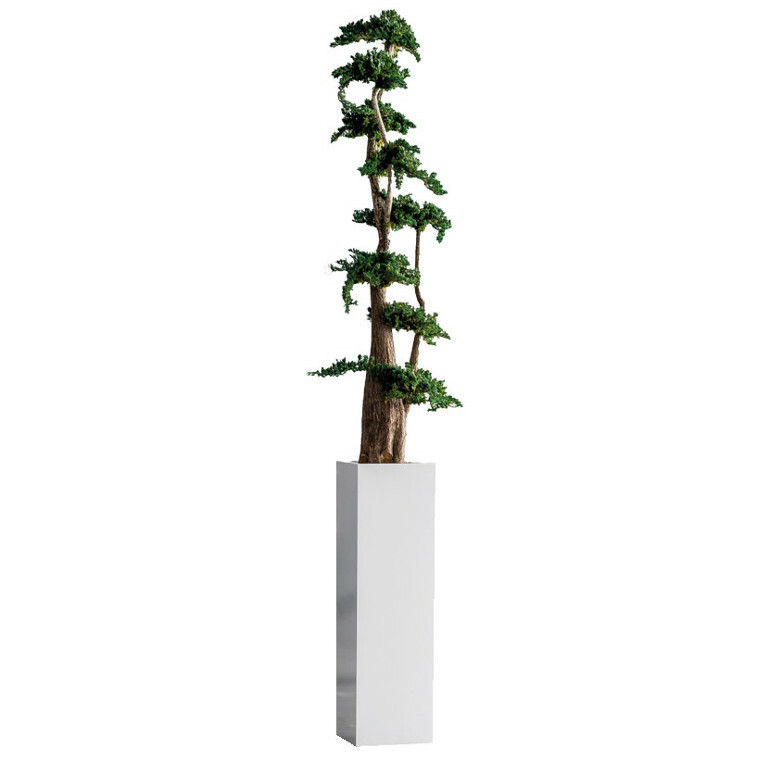 That’s why the preserved Jumbo Juniperus is perfect for interior decoration, since maintenance is minimal. Jumbo Juniperus of 1 meter. What product would you like to learn about in next month’s blog post? We look forward to your suggestions! We encourage you to tell us which plant, flower or tree interests you from our product catalog and next month, we’ll tell you all about it, especially highlighting its decorative use.